Since the first transmission of TV almost 87 years ago, viewable news, movies, sport and entertainment have seen us glued to box sets, big screens and now, our smart devices and phone screens. Ponder for a moment – when was the last time you watched a piece of video content – whether it be online, at home or the movies, on your phone or even on YouTube? Was it this morning or last night? For most of us, the answer would most definitely be daily (if not multiple times per day). Video is everywhere these days, and for good reason. Did you know that 90% of internet users rate product videos as being an important and helpful part of their purchase decision-making process? 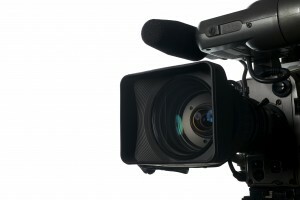 If your business hasn’t yet made the jump toward implementing video, take a few minutes to read through some of the below benefits and results of doing so. What did you search for this year? Google has released its annual ‘Year in Search’ clip on YouTube and it’s a bit of a tear-jerker. Australians were fascinated with sporting victories (and losses), shark attacks, and tragic news events to name but a few. Searching for ‘what is love’ and, ‘what is the meaning of life’ still top our search lists. It’s not just funny cat videos anymore (though we still love them all the same! ), 2015 is set to be the year of the video and you don’t need to be a big time Hollywood producer to release your blockbuster. All it takes is a little bit of your time and some readily available tools to get ahead of the trend. It’s pretty clear to see that video is a great tool for engaging users. In a world of social media and short attention spans it’s getting more important to shift your content strategy to include video.